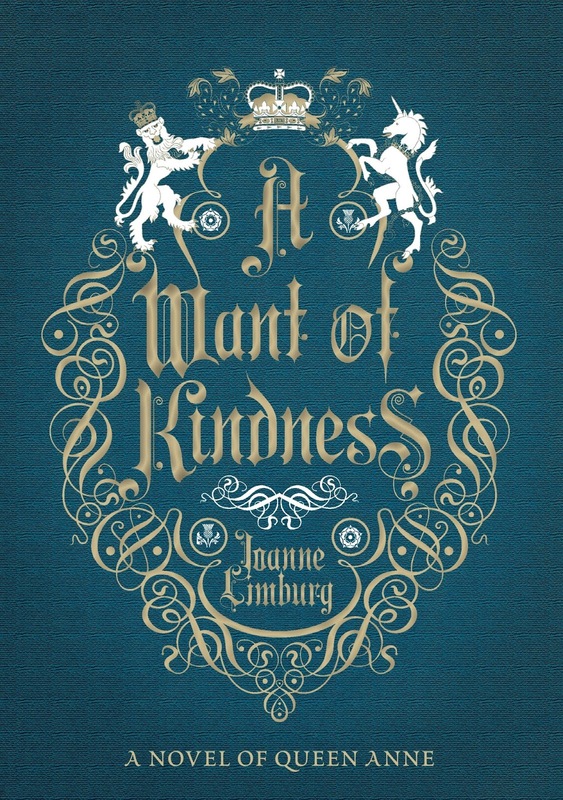 Our July guest is Joanne Limberg, talking about her début novel, A Want of Kindness, about Queen Anne. Joanne Limburg began her writing career as a poet, publishing two collections with Bloodaxe Books. She has also published a memoir, The Woman Who Thought Too Much and a book of poems for children, called Bookside Down. 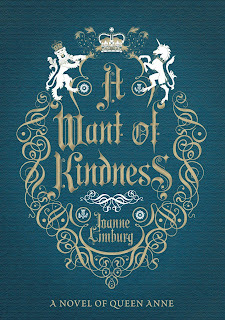 A Want of Kindness is her first novel, and is published by Atlantic Books. She lives in Cambridge with her husband and son. At the centre of my novel, A Want of Kindness, are a series of extraordinary letters – real letters – which Anne sent to her sister Mary, Princess of Orange. 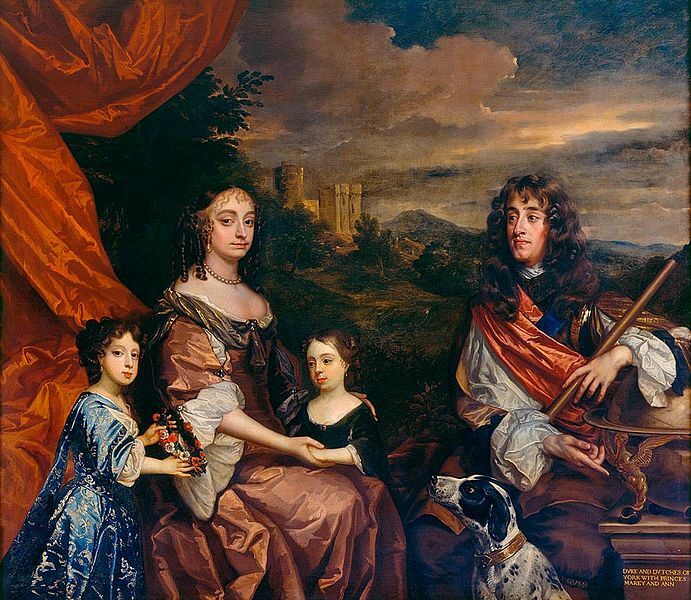 They were written in the years leading up to the Prince of Orange’s invasion in November 1688, and the subsequent deposition of the sisters’ Catholic father, King James II, events which the winning side were quick to call the ‘Glorious Revolution’. Anne would be on that winning, Protestant, side, and her letters show her to have taken as active a role in events as her circumstances allowed. Using a postal network of sympathetic ‘safe hands’, she was able to send her sister intelligence as to Catholic goings-on in the royal household – Latin Grace at meals and other such – to her – abominations. She could confirm that the King and her step-mother, the Queen, were most certainly under the influence of Jesuit priests, that the Earl and Countess of Sunderland had flattered their way into royal favour and that Sunderland in particular was encouraging her father the King in all his Catholic, tyrannical, most un-English excesses. In doing so, she was able to reassure her sister – and, in the process, herself – that England, its Church and its Liberties were indeed threatened and that, therefore, the momentous act they were contemplating would be entirely justified. Anne’s most significant pieces of intelligence concerned the Queen and the progress of her pregnancy. For the Catholic Queen, or so it was claimed, was pregnant by the Catholic King. And if the child turned out to be a boy, then the Catholic succession would be assured, and, from the point of view of the fiercely Protestant Anne, England’s undoing – and her own –would be complete. She and Mary would be displaced from the succession. Anne’s gender meant that many avenues of power and influence were closed to her. She could not wield a sword. She could not hold office. She could not make speeches to the Privy Council or to Parliament and was unable to attend Privy Council meetings. It would not have occurred to either her father or his ministers to consult her on any matters of policy. She could not take Holy Orders and preach either for or against him. Nevertheless, she was the highest-ranking Anglican in England, standing in for the King in the Royal Chapel, providing a royal presence in his Catholic absence; also, as a Princess at Court, she was often in attendance on the Queen when she dressed in the morning. She could, if she wished, vouch for two very crucial things: the King’s good intentions towards the Anglican Church and the genuineness of the Queen’s pregnancy. If she did, she would strengthen the King and Queen’s position significantly; if she did not – or even appeared not to – she would just as surely undermine it. So, what did Anne do? Despite the fact that she sometimes put on the Queen’s shift herself and must – I am certain – have seen her pregnant belly with her own eyes, she was quite determined not to believe them. 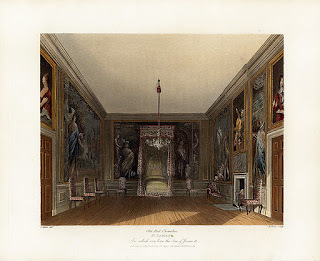 She told Mary that what she had seen was unconvincing, and, having done so, left London to take the waters at Bath – a place far more distant than her usual summer watering-place at Tonbridge – thus making it most unlikely that she would be with the Queen when he presence as witness would have been most useful to the King – that is to say, at the birth. After the baby was born, in her artfully-contrived absence, she was instrumental in spreading the now-notorious rumour that an imposter baby – the child of a Catholic brick-layer – was brought into the royal birthing chamber in a warming-pan, to take the place of what was either a stillborn or non-existent prince. She avoided attendance at Court, using her own supposed pregnancy as an excuse, but made sure that she could be seen at various Anglican houses of worship, avidly listening to sermons against the King’s religion. By the end of that Summer, Anne knew that the Prince of Orange was going to sail to England, and that she had to be prepared for what might happen. She had a staircase built at the back of her lodgings, providing her with a direct route from her privy chamber to the grounds of St James’s Park, and, once she had received word that her husband defected from the King on the battle-field, she descended it at the dead-of-night and fled London under the protection of Bishop Compton, one of the King’s most prominent opponents. After her father’s defeat, she returned to London and made her first public appearance, bedecked in Orange ribbons. Despite James’s unpopularity, there were many who were shocked by the sisters’ behaviour. They were unnatural, ungrateful daughters, who in dishonouring their father, they had broken a Commandment. They were compared to Goneril and Regan, and to Tullia the daughter of the murdered King Servillius Tullius, who ran over her father’s body in her chariot. One poem of the time terms them the ‘Female Parricides’, and accuses the sisters of ‘ambition, folly, insolence and pride.’ Anne’s Victorian biography, Agnes Strickland, agreed, seeing Anne as entirely self-interested. Such is Ryan’s disgust at Anne’s shocking character, that I am baffled as to why he chose her as his subject. If I agreed with him, I don’t think I could have stood to write a whole novel about her. His Anne is somewhat one-dimensional, her motives transparent and her actions predictable. 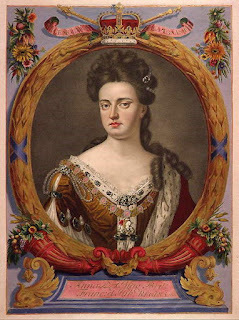 But the Anne that emerges from later biographies, from her letters to Mary and to her friend Sarah Marlborough, seems to me to be far more complicated and a good deal more sympathetic. It is true that, if we consider her dealings with her father and step-mother in isolation, she seems two-faced, unkind and devious, but Anne had many other relationships in her life, and in these she behaved very differently. Anne could be loving and loyal. She was concerned with the health of her husband and children, nursing them herself when they were ill. She was an extraordinarily generous friend, and a considerate mistress to her household. When she eventually became Queen, she would prove to be remarkably conscientious, taking part in all her cabinet’s meetings despite her continuing ill health, and attending Parliament whenever she could. She had her opponents, but unlike many of her predecessors, was not in habit of having them executed. Faced with the choice between prolonging the War of Spanish Succession and accepting a settlement, she chose the latter, being weary of bloodshed and other people’s suffering. It is not hard to see why the Duke of Marlborough described his patroness, simply, as ‘a very good sort of woman’. When I looked at Anne’s life, then, the story it suggested to me was one in which a good woman does, knowingly, a bad thing. My sense is that Anne was not lying, precisely, when she said her step-mother’s baby was not her brother. I think she was deceiving herself, entertaining this cognitive dissonance, because she needed him not to be. She did what we are all capable of doing when our conceptions of ourselves and our worlds are put under extreme pressure, and constructed a truth she could live with: an England justly destined for Protestant rule. The thought that God might after all not be on her side, but with the Catholics, was simply too horrific to contemplate – if it were true, then the very ground under her feet would be rendered insecure, and, even worse, she would no longer be able to see believe a good person, on the right side of things. Anne’s moral thinking was not subtle, pragmatic or flexible enough to allow her to lie simply for political expedience’s sake, to make the ends justify the means. So she constructed a story, a false belief, to enable her to live with herself and what she would be doing. And the story held together as long as it needed to, seeing her through the dangerous adventure of her defection from her father, but, it could not hold much longer. Faced with criticism from inside and outside Court, and their own increasingly uneasy consciences, the sisters would struggle with the consequences of what they had done. As someone who is obsessed with English history, this book sounds amazing. Queen Anne is not one of the monarchs that I have read a lot about, so I am excited to read this book. Knowing that it is based on actually letters between the sisters and the intrigue that was involved is exciting. I cannot wait to start it. Are you paying over $5 per pack of cigs? I'm buying high quality cigarettes at Duty Free Depot and this saves me over 70% from cigarettes. It's Wolf hall - again!